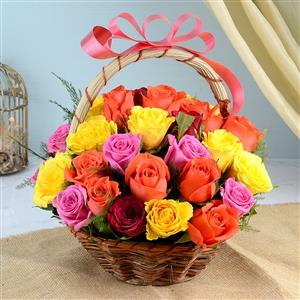 Send this wonderful basket of 36 multicolored Roses to your dear ones in India and make the occassion bright and colourful. This mutlicolored roses arranged beautifully will surely be appreciated by the recipient. Furthermore, you can also send other Gifts to India with this attractive arrangement.